This was an unusually difficult week for me. One of those weeks where I wake up already feeling overwhelmed and as though I screwed something up. I hardly left my house; Tuesday night I had plans with my sister to see Stormy Daniels speak at The Wing and I bowed out because it just seemed like too much. Thursday I had plans for an upcoming project and I canceled because I had so much on my plate the idea of leaving the house, let alone getting dressed, was causing me to freak out. I missed the gym one day because I got up, started writing, and was so thrilled that for the first time in a while I had writing mojo I didn't want to stop. No surprise if I analyze the past few weeks I see a pattern - not enough sleep, too much coffee, not enough green in my diet, and too much time wasted scrolling through social media. Knowing is half the battle, and being aware of these habits helps me take control again. 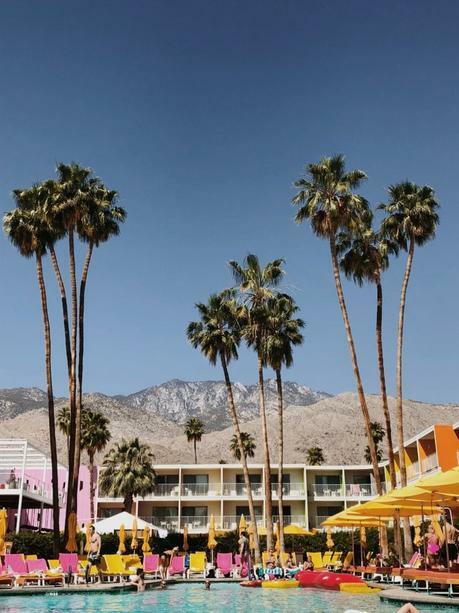 This weekend, I am in Palm Springs with the clothing brand Chico's and some of the most awesome bloggers. I will be sure to recap the trip on the blog. However, all weekend I will be sharing on Instagram Stories and a few choice photos for the 'gram feed so be sure to follow me there! Speaking of me getting out of my house and out of town, next month I am speaking at the Rebelle Con in Richmond, Virginia and will be hosting a coffee meet-up the Saturday morning of that weekend. If you're in the area and interested in attending, let me know. I think it's going to be a fun and inspiring event and I'd love to meet those of you who can make it! LOFT has 40% off this weekend, no promo code is necessary. Always on the hunt for a quick "no makeup makeup" look I ordered Charlotte Tilbury's Flawless Filter and I have to say I like it! It gives a glow and sort of blurs the skin. It won't cover up spots or circles but it makes the skin look fresh and hydrated and happy. Use alone or with foundation. Speaking of shoes, you know I've been on a quest for wide-width dressy sandals. Still receiving pairs I ordered and boxing them right up, but I found these budget-friendly gems that actually fit and are relatively comfortable! Thank Carol from the Wardrobe Oxygen Community on Facebook for this gem. I hadn't heard of Sarah Potenza before but now I am a fan.